The Macaroon backpack of the Donut brand is synonymous with light weight and design in a classic concept. 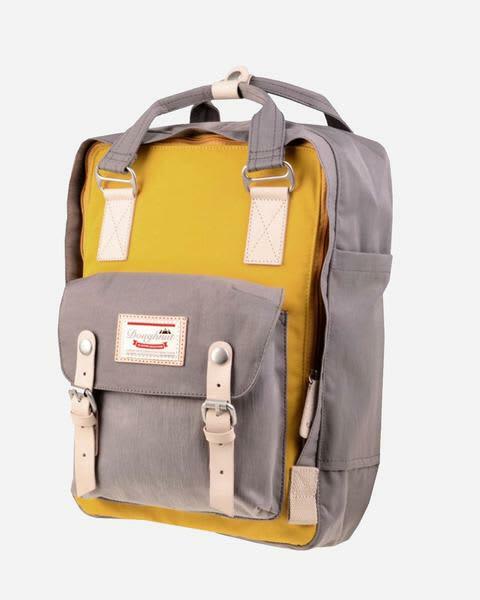 Color mustard x light gray 15-inch padded laptop compartment. Multiple internal pockets Vegetable tanned leather trim (no harmful chemicals used). Ultra-light water-repellent cotton fabric.